Prohibition changed things for the bourbon and wine industries, shuttering both. While Kentucky’s distilleries recovered quickly when Prohibition was repealed, the vineyards did not. In fact, the resurgence in Kentucky winemaking is only a decade old. It may have taken a long time to reestablish the industry, but it is quickly paying dividends for enterprising vintners, local economies and the state’s agritourism industry. “Ten years ago, Kentucky had only two or three wineries, but today, there are 68 small farm, licensed wineries in the state, and five or six more opening each year,” says Tyler Madison, director of the Grape and Wine Program for the Kentucky Department of Agriculture. Much of that growth can be attributed to the fact that many farmers see grapes as a viable replacement crop for tobacco, he says. It also helps that Kentucky’s mild climate and limestone soil replicates conditions in successful grape-growing regions across the world. The commitment to establishing vineyards, which take three to four years to produce grapes, has resulted in annual production of 1.36 million gallons of wine from just 600 acres of land. Tim Woods of the University of Kentucky’s Department of Agricultural Economics is studying the economic impact of the Commonwealth’s wineries.  Preliminary findings show an additional $1 million increase in winery sales statewide would result in $486,000 of extra revenue for Kentucky. In Colorado, where the wine industry is substantially smaller, a recent report indicated that for every $1 of farm-gate value, which is the net value of the product when it leaves the farm, $2 to $4 is added to the economy. That number increases to up to $10 in economic impact when the winery has a tasting room, because it attracts more tourists who then spend additional money locally. More than half of Kentucky’s wineries feature tasting rooms. One of the newest opened in summer 2012 at First Vineyard, aptly named because it sits on the same property in Jessamine County where that first vineyard was established, operating until the mid-1800s. Tom Beall bought the land in 1994 thinking it would be a beautiful, scenic retreat for his family. In 2002, Beall, an avid historian, discovered the land was the site of the first commercial vineyard in the United States, established by John James Dufour. The venture was financed by dignitaries such as then-Secretary of State Henry Clay, Congressman John Brown, Gov. James Gerard, and more than 100 others who founded the Vineyard Society. His research even discovered the land was surveyed by Daniel Boone. That’s why Beall has worked diligently to restore the vineyard, maintaining an on-site library housing information and artifacts that tell the original winery’s story, and adding a tasting room in keeping with Dufour’s design. After much research and contact with the USDA to locate cuttings, he’s also reintroduced the Cape grapevines that Dufour planted more than 200 years ago. His tasting room features wines made from the two acres of vines on the property, which include Cape, Reisling, Norton, Vignole and Diamond. Beall is passionate about maintaining the integrity of his property for its historical significance and sharing that history – and his wine- with visitors. Ben and Jeanie O’Daniel’s wine story is much different from Beall’s. Ben O’Daniel’s family owned Springhill Winery in central Kentucky, and his wife’s family established Highland Winery in eastern Kentucky. Winemaking was in their blood, and marriage was in their future. The result was the establishment of Jean Farris Winery and Bistro in Lexington. The O’Daniels bought the land in 2003 and opened for business in June 2006. And when O’Daniel says “best,” it’s not just his opinion. Many of their wines are award-winning. In fact, Jean Farris is the only winery outside California to earn a double gold designation in the San Francisco wine competition. An extensive collection of wines, including Cabernet, Chardonnay, Pinot Noir and many more, are produced from the eight acres of vineyards operated by the O’Daniels, and 98 percent of it is sold on the premises.